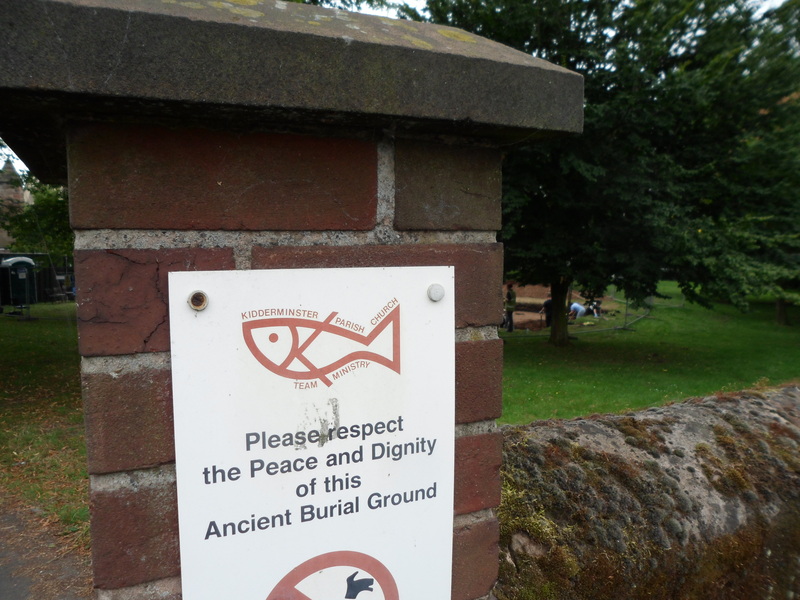 Kidderminster isn’t Winchester when it comes to heritage. 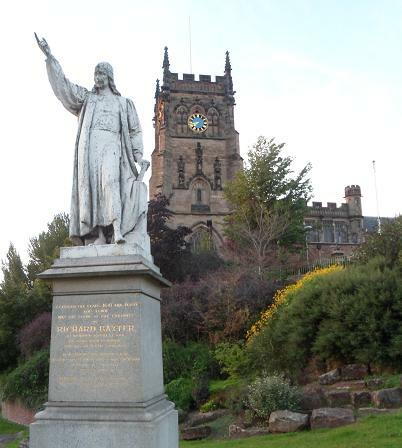 It can boast about the carpet industry and penny black inventor Rowland Hill and 17th Century churchman Richard Baxter and superstar Robert Plant and the biggest church in Worcestershire but the list isn’t endless. So when a building that may have been associated with the Saxon minster that gave the town its name has been located and is being investigated as a community project in the churchyard of that church (see the blog here) it’s a source of a lot more local pride than would arise in many other places. When I was there someone approached me brimming with it. It was the pride of someone who clearly felt he owned it. Which of course he does, it’s his heritage. That’s why he took a dim view of this, holes dug all over the chuchyard the night before by someone that was stealing his heritage. (They were back 2 nights later, the chuchyard is peppered). “I don’t want to tar all detectorists with the same brush” says the archaeologist in charge “but this opportunistic looting of sites is damaging and very frustrating.” Agreed, but on the other hand I do feel that not tarring most detectorists with exactly the same brush is unjustly whitewashing them. 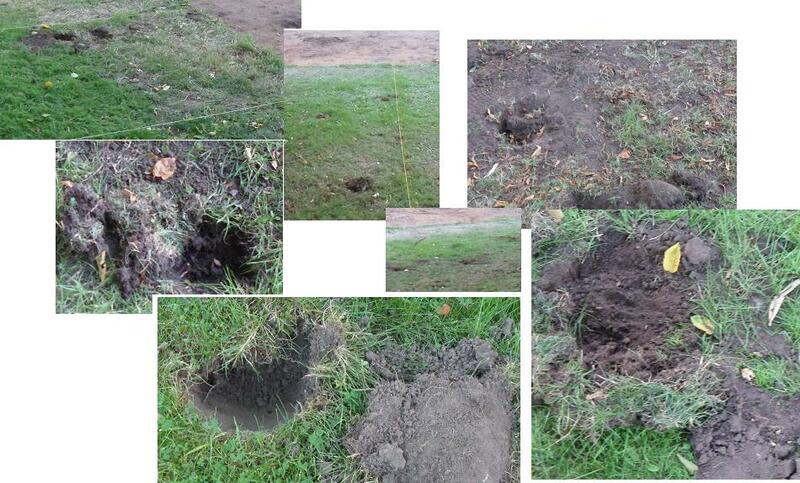 By which I mean this: the ONLY distinction that can be drawn between most detectorists (who don’t report all their finds) and the people that attacked this site (and didn’t report their finds) is “lack of permission”. The damage they do is the same. Same action. Same effect. Same loss of knowledge for the rest of society. The damage inflicted on Kidderminster is identical to the damage inflicted on communities up and down the country thousands of times every week. Legally. People – especially landowners – should know. The people that sneaked past this notice with detectors were plain nasty…. but please, please let’s not allow people to get the idea that such unpleasant, antisocial neanderdunces and their few hundred fellows do more damage than those thousands of perfectly legal non-reporters who get permission. That’s a damaging falsehood the public has been fed for 15 years. They do vastly less. More about what has just been revealed at this community dig shortly. (They have an Open Day next Saturday, all welcome). Will it be as exciting as the remarkably similar community dig currently going on at Polesworth, Warwickshire? Of course! Kidderminster has loads of heritage! « Fascinating “Facts”: When is a stone circle not a stone circle?